Blood pressure High blood pressure - A condition present when blood flows through the blood vessels with a force greater than normal. High blood pressure, or hypertension, affects over 1 billion people worldwide. While there's an armoury of drugs available to treat hypertension, nearly half of those who are prescribed medication for it still suffer from the condition. It can damage the body in many ways over time, leading to heart disease, stroke, kidney failure and other health problems. 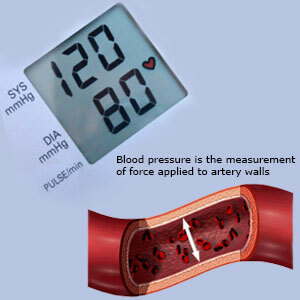 Blood pressure is the force of your blood pushing against the walls of your arteries. High blood pressure is a common disease in which blood flows through blood vessels (arteries) at higher than normal pressures. High blood pressure (hypertension) results when blood places an excessive amount of force on the walls of the blood vessels. The heart and kidneys (which filter blood to regulate blood pressure) have to work harder than usual to do their jobs, leading over time to heart failure and kidney disease. Blood vessels in the brain may also weaken and burst, causing a stroke. Physical activity is good for your heart and circulatory system. An inactive lifestyle increases the chance of high blood pressure, heart disease, blood vessel disease and stroke. Give yourself the gift of improved health and lower blood pressure with regular, moderate-to-vigorous physical activity. Fate of blood pressure depends on the flow of blood in the arteries Blood pressure (BP) is the pressure exerted by circulating blood upon the walls of blood vessels, and is one of the principal vital signs. Each time when the heart beats, it pumps blood straight into the arteries. The blood pressure is highest when your heart beats, pumping the blood. This is called systolic pressure. When the heart is at rest, between beats, your blood pressure falls. This is called diastolic pressure. Blood pressure readings are measured in millimeters of mercury (mmHg) and usually given as two numbers (for example140 over 90, written as 140/90). The top number is systolic pressure reading which represents the maximum pressure exerted when the heart contracts for pumping blood. The bottom number is the diastolic blood pressure reading which represents the pressure in the arteries when the heart is at rest. Slightly elevated blood pressure is known as prehypertension. Prehypertension will likely turn into high blood pressure (hypertension) unless you make lifestyle changes, such as getting more exercise and eating healthier foods. Prehypertension is blood pressure readings with a systolic pressure from 120 to 139 mm Hg or a diastolic pressure from 80 to 89 mm Hg. Readings greater than or equal to 140/90 mm Hg are considered as hypertension. High blood pressure is one of the precursors to developing heart disease and stroke. Because it is an important indicator, your blood pressure is typically checked each time you visit the doctor. When doctors take your blood pressure, they are measuring the pressure that blood exerts on the walls of the blood vessels as your heart contracts (systolic pressure) and relaxes (diastolic pressure). Thus, high blood pressure usually has no symptoms, but it can cause serious problems such as stroke , heart failure, heart attack and kidney failure. You can control high blood pressure through healthy lifestyle habits such as exercise and good diet and taking medicines, if needed. Illustration of blood pressure measurement Blood pressure is a measurement of the pressure that blood exerts against the walls of the main arteries and is quoted in millimeters of mercury (mmHg). Measurements are made when the heart is contracting (the systolic pressure) and during relaxation (the diastolic pressure); results are presented as the systolic over the diastolic pressure. A typical value for a normal, young adult might be 120/80 mmHg. Here, a massive systolic pressure of 240mmHg is displayed on the sphygmomanometer. Abnormally high blood pressure (hypertension) is a serious medical condition with a variety of underlying causes. How to check blood pressure? Blood pressure is usually measured while you are seated with your arm resting on a table. Your arm should be slightly bent so that it is at the same level as your heart. The upper arm should be bare, with your sleeve comfortably rolled up. To obtain your blood pressure measurement, your health care provider will wrap the blood pressure cuff snugly around your upper arm, positioning it so that the lower edge of the cuff is 1 inch above the bend of the elbow. The health care provider will locate the large artery on the inside of the elbow by feeling for the pulse and will place the head of the stethoscope over this artery, below the cuff. It should not rub the cuff or any clothing because these noises may block out the pulse sounds. Correct positioning of the stethoscope is important to get an accurate recording. Your health care provider will close the valve on the rubber inflating bulb and then will squeeze it rapidly to inflate the cuff until the dial or column of mercury reads 30 mmHg higher than the usual systolic pressure. If the usual systolic pressure is unknown, the cuff is inflated to 210 mmHg. Next, the valve is opened slightly, allowing the pressure to fall gradually (2 to 3 mmHg per second). As the pressure falls, the level on the dial or mercury tube at which the pulsing is first heard is recorded. This is the systolic pressure. As the air continues to be let out, the sounds will disappear. The point at which the sound disappears is recorded. This is the diastolic pressure (the lowest amount of pressure in the arteries as the heart rests). The procedure may be performed two or more times. Most people cannot sense if their blood pressure is high (hypertension) because there are usually no symptoms. High blood pressure increases the risk of heart failure, heart attack, stroke, and kidney failure. For people who have high blood pressure, this test is a way of monitoring the effectiveness of medications and dietary modifications. The systolic pressure less than 120 mmHg and the diastolic pressure less than 80 mmHg blood pressure is considered normal. Blood pressure that is slightly higher than 140/90 is called mild mild hypertension and can sometimes be reduced by weight loss, cessation of smoking, and decreased salt intake. Systolic blood pressure lower than 90 or pressure 25 mmHg lower than usual reading is considered low blood pressure. Low blood pressure may be a sign of a variety of illnesses, including heart failure, infection, gland disorders, and dehydration. Brain aneurysm due to hypertension Colored 3D angiogram of the head of a 38–year–old patient with an aneurysm (ballooning, center) of the cerebral artery where it meets the posterior communicating artery. The right internal carotid artery can also be seen (lower right). This patient suffered a subarachnoid hemorrhage (SAH) and this aneurysm was found during subsequent assessment of the brain. SAH is bleeding into the subarachnoid space – the area between the arachnoid membrane and the pia mater surrounding the brain. Blood pressure measurements take into consideration the amount of blood pumped by the heart and the size and condition of the arteries. High Blood pressure may be due to some unknown origin which is called primary hypertension. High blood pressure that results from a specific condition, habit, or medication is called secondary hypertension. 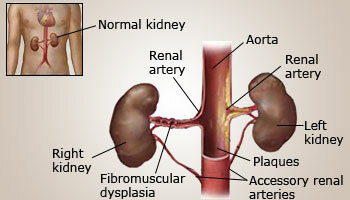 Secondary hypertension may be caused by certain specific diseases or infections, such as tumor in the adrenal glands, damage to or disease of the kidneys or their blood vessels (inflammation of kidneys, Kidney failure, Renal artery stenosis and Renal vascular obstruction or narrowing).Many factors can affect blood pressure, including the levels of water and salt in the body, the condition of kidneys, nervous system, blood vessels, and the levels of different body hormones. Too much salt in diet can lead to high blood pressure. Secondary hypertension may also be due to Anxiety and stress, appetite suppressants, Birth control pills, certain cold medicines, cocaine use, Diabetes, Migraine medicines, Obesity, Pain, Pregnancy (called gestational hypertension), Radiation enteritis and Arteriosclerosis. Due to high blood pressure, over time, the constant pressure of blood moving through a weakened artery can cause a section of its wall to enlarge and form a bulge known as aneurysm. An aneurysm can potentially rupture and cause life-threatening internal bleeding. 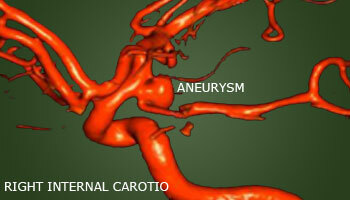 Aneurysms can form in any artery throughout the body, but they're most common in the aorta, the body's largest artery. Renal failure due to hypertension Hypertension is a major cause of kidney disease and kidney failure (end–stage renal disease). Hypertension can cause damage to the blood vessels and filters in the kidney, making removal of waste from the body difficult. High blood pressure may overburden the heart and blood vessels and cause many types of cardiovascular disease, such as stroke and heart failure, and renal disease. Aneurysm is one of the complications which may occur in arteries because of high blood pressure or a weak spot in a blood vessel wall. The most common locations are abdominal aorta and the arteries at the base of the brain. A bulge or weakness in the wall of a blood vessel may enlarge over time and can be life threatening if blood vessels rupture. Some other complications due to hypertension are blood vessel damage (arteriosclerosis), Brain damage, Congestive heart failure, Kidney damage, Kidney failure, Heart attack, Stroke and Vision loss. The kidneys play a key role in keeping a person′s blood pressure in a healthy range, and blood pressure, in turn, can affect the health of the kidneys. High blood pressure, also called hypertension, can damage the kidneys and lead to chronic kidney disease (CKD). Most of the time, there are no symptoms. However symptoms may include: mild or severe headache, Confusion, significant sweating, Shortness of breath, Crushing chest pain, Ear noise or buzzing, Irregular heartbeat, Nosebleed, Tiredness and Vision changes. Other tests may be done to look for blood in urine and look for signs of complications to heart, kidneys and eyes. Tests like Chem–20, Echocardiogram and ultrasound scan of kidneys are suggested. Lisinopril high blood pressure drug This drug, marketed as Prinivil, Zestril and Lisodur, is used to treat hypertension (high blood pressure) and heart disease. It is an ACE inhibitor, a drug that works by blocking the action of angiotensin converting enzyme (ACE). This enzyme, as its name implies, converts the peptide angiotensin from its inactive to active form. The active form is a powerful vasoconstrictor (narrowing blood vessels), and vasoconstriction raises the blood pressure, so blocking ACE is a good way to reduce blood pressure. 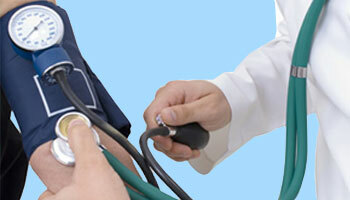 The goal of treatment is to reduce blood pressure so that the person has a lower risk of complications. There are many different medicines used to treat high blood pressure. Diuretics also known as "water pills", such as hydrochlorothiazide and furosemide excrete extra water and salt to lower blood pressure. Anti–Adrenergic drugs – Commonly called alpha and beta blockers, include medications such as Prazosin, Terazosin, Doxazosin, and Propranolol, Metoprolol and Atenolol, block a part of the nervous system that increases blood pressure. Vasodilators such as Hydralazine and Minoxidil work by relaxing blood vessels to lower blood pressure. ACE (angiotensin converting enzyme) inhibitors work by preventing the production of angiotensin which is a vasoconstrictor (blood vessel constrictor). Commonly prescribed ACE inhibitors are Captopril, Enalapril, Lisinopril and Benazepril. Angiotensin receptor antagonists such as Losartan and Valsartan which are similar to ACE inhibitors block the effects of angiotensin instead of preventing its production. 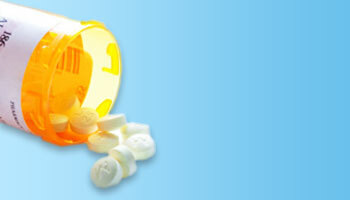 Calcium channel blockers – block the calcium flow into cells which constricts blood vessels. Medications such as Diltiazem, Verapamil, and Nifedipine work by dilating blood vessels. Lifestyle changes such as regular exercise, losing weight, and following a healthier diet (with less of fat and salt, more of fruits, vegetables and fiber) will be helpful to bring blood pressure down to normal range. Most of the time, hypertension can be controlled with medicine and lifestyle changes.